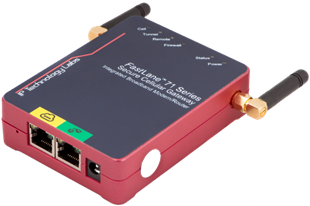 Using your own SIM card and data service, the Model 71LW-04 provides universal access to your network using common low-cost data plans. 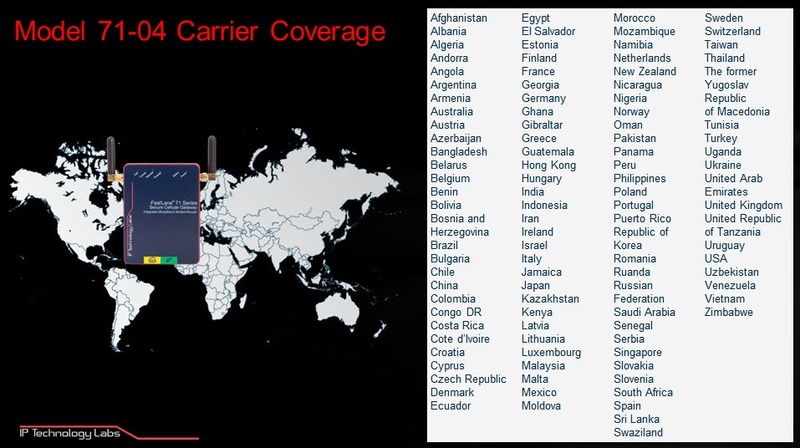 The M71-04 works regardless of carrier IP, Carrier NAT, Nested NAT, DHCP, or Private or Dynamic IP infrastructure. The Model 71LW-04 is perfect for remote locations where a traditional Internet access or leased-lines isn’t available. For redundancy and failover applications, the M71-04 can use the cellular in either hot or passive standby with automatic failover/failback. Redundancy is network transparent and does not require any reconfiguration of networking parameters or infrastructure. Compatible with all of our headend gateways and servers, IPTL allows you to deploy the network you want with the network you have. Additionally, only IPTL can give you secure and transparent Ethernet connectivity with end-to-end solutions. Along with our out-of-the-box security all IpTL devices offer Perfect Forward Secrecy to all your attached network devices. No need to worry about OS updates, patches, or hobbled applications that are exposed. For further security the full-sized SIM card is mounted internally without outside user access. Total Secure Connectivity over integrated 4G/3G Cellular (LTE,UMTS,GSM) and dual wired Ethernet TX ports. TLS information security with X.509 PKI trust and attribution, AES-256, SHA-1 HMAC encryption. Use Cellular for primary connection or use for redundancy with auto-dialout or hot failover on network failure. Fully compatible with any IpTL server solution. Out-of-Band Manageable with IpTL Model 7700 platform.